“Let these women, whose husbands are worthy and are living, enter the house with ghee (applied) as corrylium ( to their eyes). 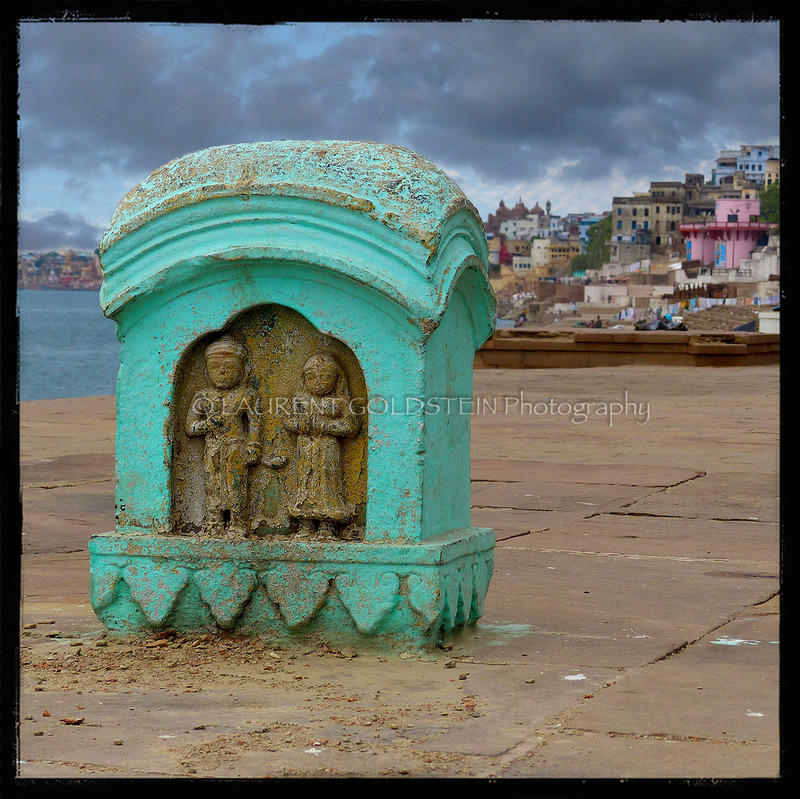 This is a picture of a Sati stone sculpture shot near Raj ghat along the Ganges in Varanasi (Benaras). This statue shows a married couple and it is marking the site where a woman died on the funeral pyre of her husband. Nowadays many of these stones are worshipped as images of Shiva and Parvati. The practice is banned since 1829. 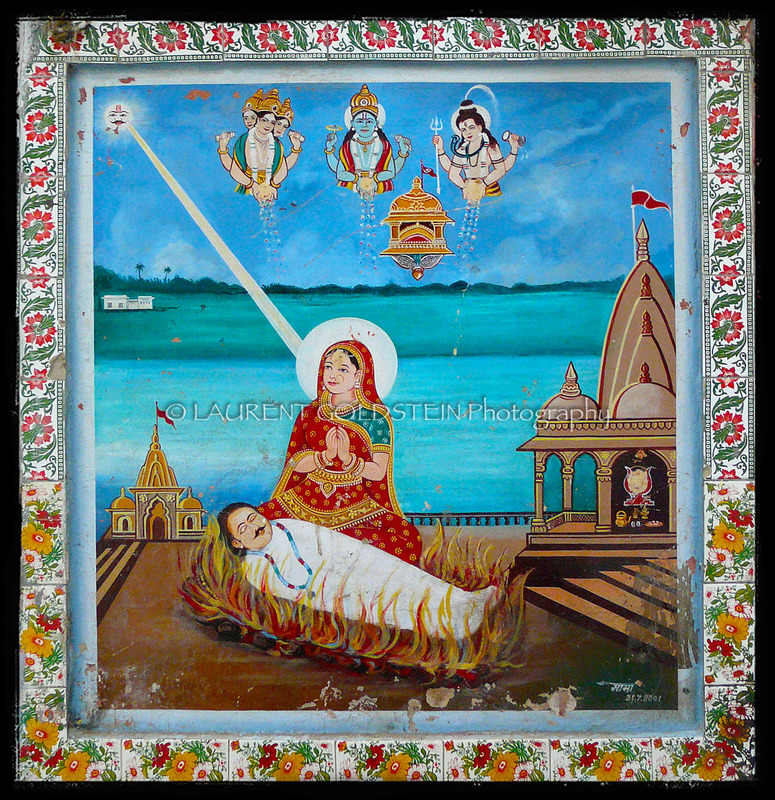 The term is derived from the original name of the goddess Sati, who self-immolated because she was unable to bear her father Daksha’s humiliation of her (living) husband Shiva. It may also be used to refer to the widow. A sati is now sometimes interpreted as “chaste woman”. Sati appears in both Hindi and Sanskrit texts, where it is synonymous with “good wife”; the term suttee was commonly used by Anglo-Indian English writers. “Vel once told me that the heart isn’t like a cup of water. After sunrise this lady was pumping water near Raj ghat along the Ganges in Varanasi (Benaras). 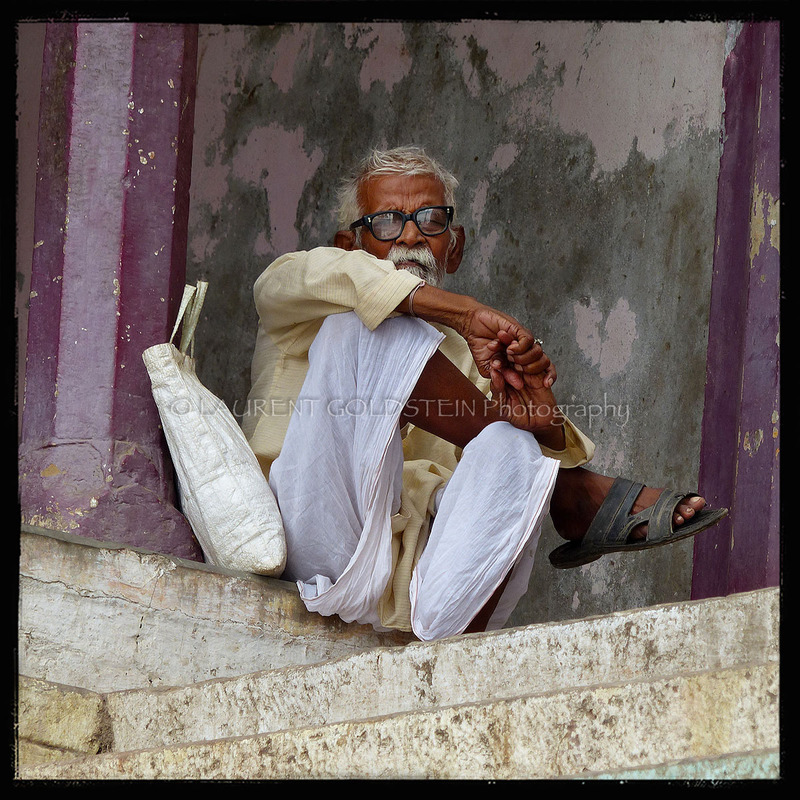 This man was enjoying the first monsoon rain nearby Raj ghat along the Ganges in Varanasi (Benaras). 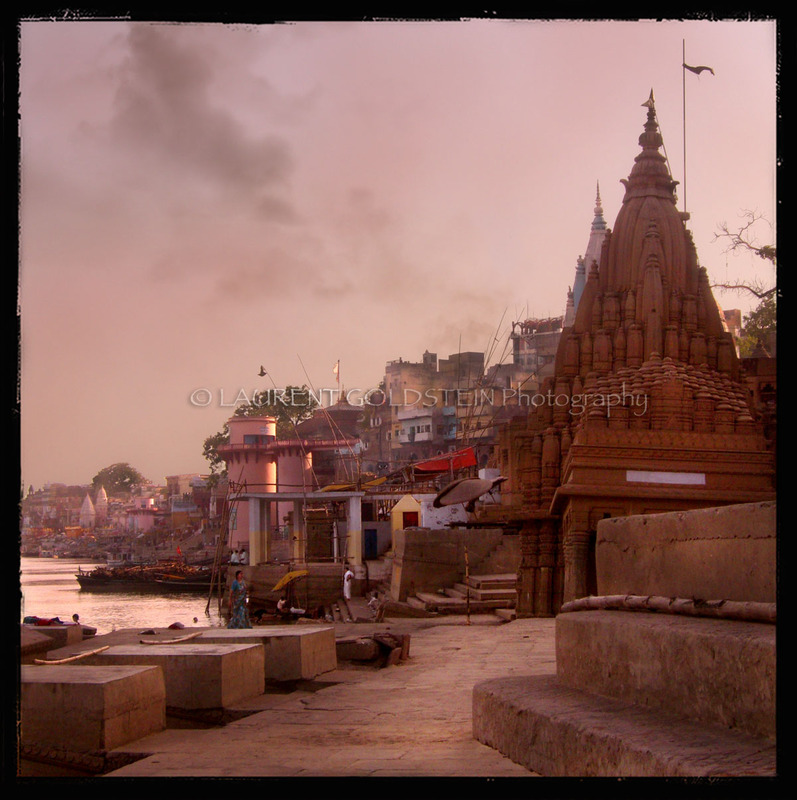 “Benares. This holy city of the Hindus was at the height of its prosperity at least a thousand years before the birth of Christ, and was already old when Plato taught in Athens and when the earliest Roman fortress rose upon the Palatine. This is a view of the Ganges in Varanasi (Benaras) from Scindia ghat to Munshi ghat. “It is this admirable, this immortal, instinctive sense of beauty that leads us to look upon the spectacle of this world as a glimpse, a correspondence with heaven. Our unquenchable thirst for all that lies beyond, and that life reveals, is the liveliest proof of our immortality. 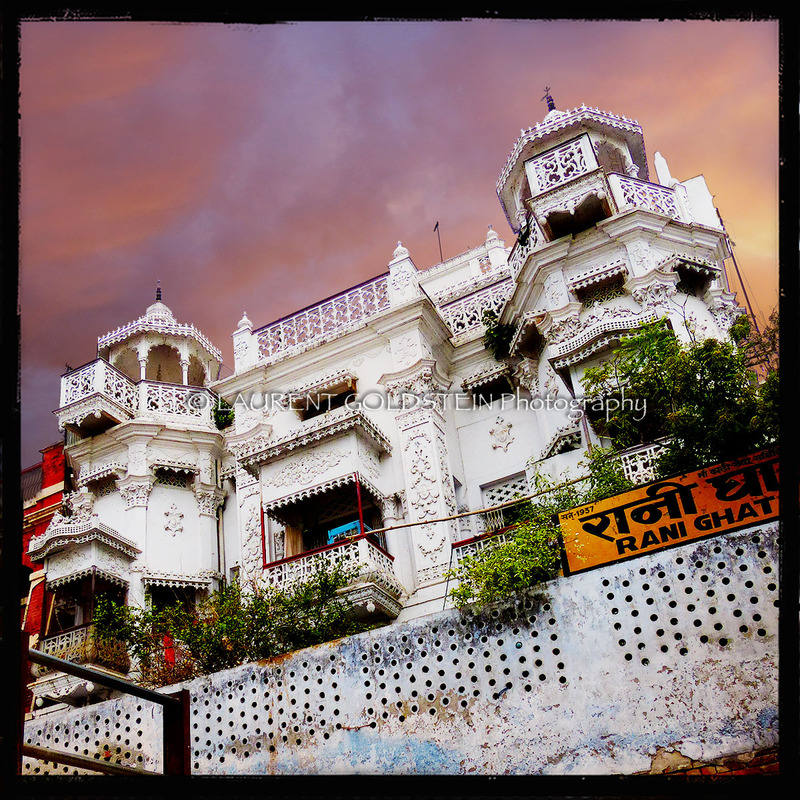 This amazing mansion gathering classical Indian and European styles stands at Rani ghat along the Ganges in Varanasi (Benaras). This ghat is far from the center, in a very quiet place away from the noise and the turmoil of the city. 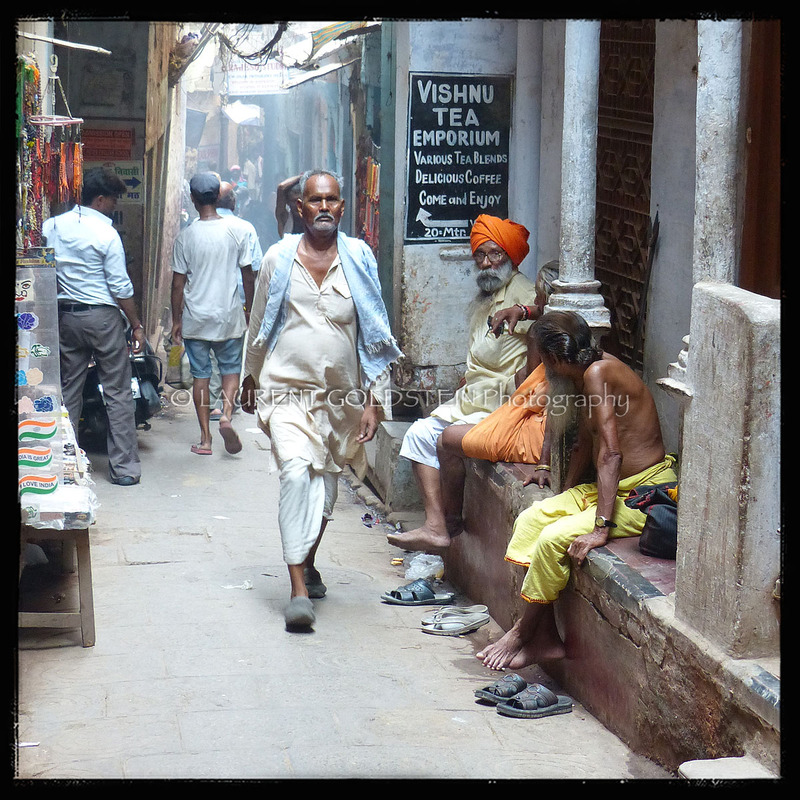 Sometimes I walk in the maze of the galis, the narrow lanes making the old Varanasi (Benaras), while I am simply following the scent of a deep incense.